* Corky & Company has given over $200,000 to area schools to date? * It’s the EASIEST fundraiser Ever!!! 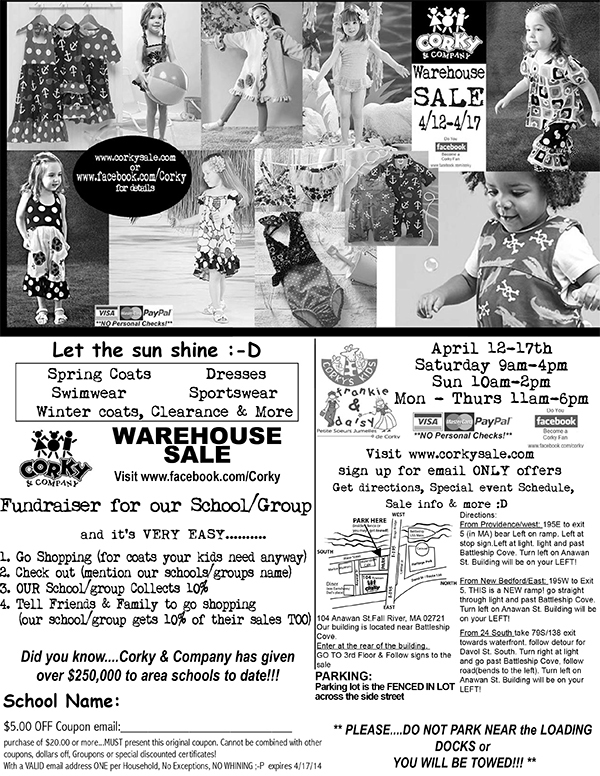 * Your School or Organization can recieve 10% cash back on each Purchase at our Warehouse Sale! NO spending money on things you don’t need! ** We suggest adding your school/organization name on the coupon, before you print/copy the flyer (so your school gets the proper credit at the checkout). Sign Up for our email list NOW and get a special Offers and sale info!